Mercedes-Benz 500 SL LEFT HAND DRIVE. Black Leather 241 including rear seats with lap belts. 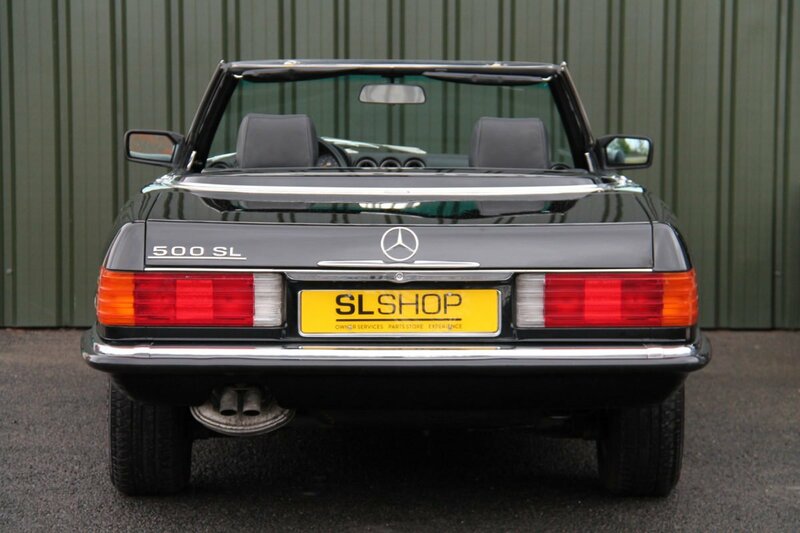 This European specification LHD 500 SL has come from a London Collector where we carried out a extensive amount of work to bring to the standard you see it today, beautiful gloss black paintwork with Black leather interior. A mileage of 91K feels like it has not run in yet, very smooth on those French roads for touring. All the right things where rectified on this car including cruise control, Air Conditioning which are required for continental use. Many bills and receipts are present including all the work we have carried out combined MOT certificates. A great car for touring with a nice 500 V8. Not a easy car to locate these days with sensible mileage to enjoy. Is it our unrivalled experience with three generations of SL? Is it our attention to detail, our award winning quality? Is it our selection of hand picked, superb cars for sale? Is it the family feel, the friendly faces and consistency of our work? Most people say it’s all of these things. A classic car offers a world of opportunities – it is an invitation to explore the open road and share life-affirming experiences with like-minded individuals. Where will your Mercedes-Benz take you? Although the R107 is renowned for build quality, there is one chink in the armour – the bulkhead. Many cars that present well from the outside are hiding internal rust. Water from outside the car should drain out through specially designed channels, but over time, these become blocked forcing water inside the car. Once water has breached the blower motor cover in front of the windscreen, it slowly wreaks havoc from inside out. This delicate area did not have rust protection from the factory, and as the metal deteriorates it the water ingress can lead to faulty electrics, damp carpets and musty smells inside the cabin. All our cars come with a 36 month bulkhead warranty. At the SLSHOP, not only do we know what an SL is capable of but we believe in the cars we sell. We want our customers to have the confidence to get out and use these iconic classics, to enjoy them for trips at home and abroad. That’s why we offer a 2 year ‘no quibble’ mechanical warranty with each car sold, as well as a 3 year bulkhead warranty. We believe in the capabilities of these classic cars, and want our customers to get out and use them. Welcome to Experience from The SLSHOP, aimed at helping you get more out of your classic Mercedes-Benz. We offer a number of trips, tours and events in the UK and abroad. See you there! 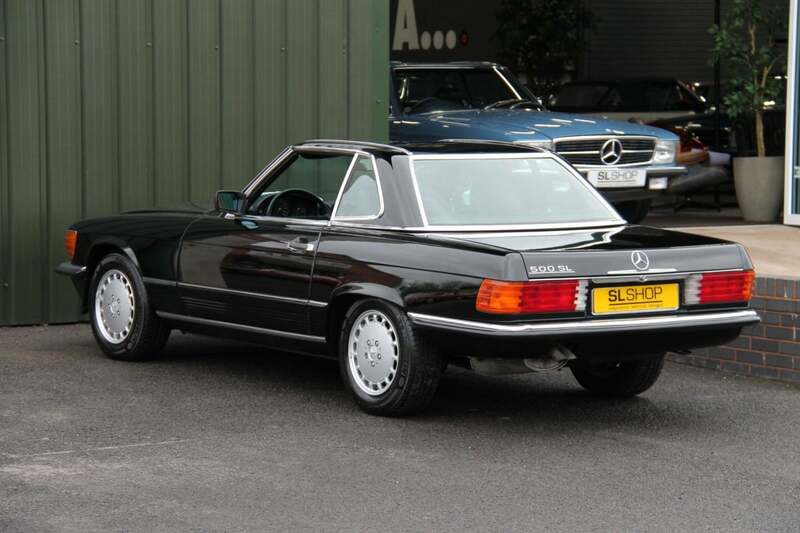 Tempted by an R107 SL but not sure if it’s for you? Fancy trying a weekend at the wheel before you dive in? We offer a 24hr test drive through our hire business. 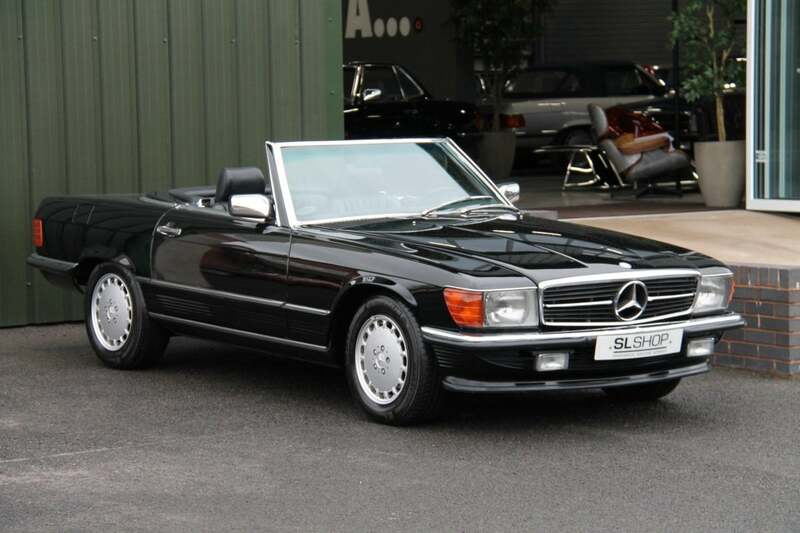 Hire a classic Mercedes-Benz for a day or longer, and if you subsequently buy a car from our showroom, we will refund the entire hire fee. What are you waiting for? Your classic Mercedes-Benz story starts right here at The SLSHOP, just like it did for these proud owners. Click the images to read each customer story. We don’t mind whether you are in the market for one of our awesome cars or just interested in seeing whats new and whats going on in the market. Pop your details in here to receive updates on all thats “hot” in the showroom. Whatever your Mercedes-Benz, Whatever your needs are, Let the SLSHOP help you. It all starts with getting to know you and your needs. We have designed this contact form to be quick and easy and we never share your data.